After two weeks of damaging revelations before the Hayne royal commission, it would be understandable if Australians started to despair of the compulsory superannuation system. Trustees of bank-owned superannuation funds were found to have ignored or deliberately worked against the interests of super fund members. In one case, the trustees watched as the for-profit part of the business purloined money belonging to members. Hayne also heard about the apparent softly softly approach of the two regulators, the Australian Prudential Regulation Authority and the Australian Securities and Investments Commission. At least ASIC’s deputy chairman Peter Kell indicated that the major banks would face civil actions for wrongly taking fees from fund members. Hayne heard about the CEO of a leading industry fund who was unashamed about using $260,000 members’ funds to pay for boozing and schmoozing at the Australian Open Tennis, including for his wife and kids. 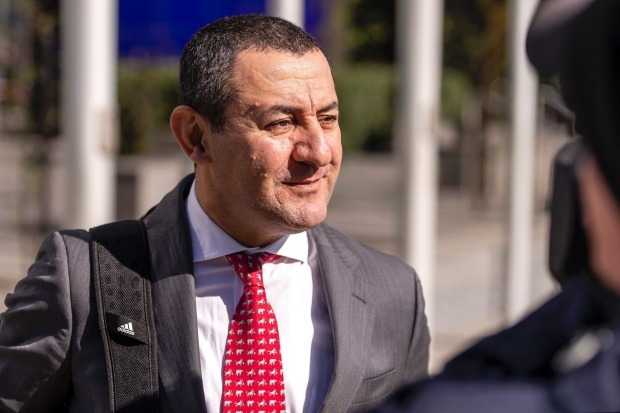 Hostplus chief executive David Elia was unashamed about using $260,000 members’ funds to pay for boozing and schmoozing at the Australian Open Tennis. The anecdotes from David Elia from HostPlus suggest employers choosing a default super fund are more interested in free booze and sporting tickets rather than the performance and services offered. In this case the employees lucked out because HostPlus is the country’s top-performing APRA supervised fund. Philip Lowe, the softly spoken and eminently sensible governor of the Reserve Bank, summed up the controversies well on Friday with salient comments to a parliamentary committee. He said financial institutions clearly had difficulty dealing with conflicts of interest, and remuneration structures within institutions had driven poor behaviour. But Lowe warned against imposing more regulations, as this would only stifle innovation. Lowe knows as well as most insightful observers that regulation is the go-to option for federal politicians whenever there is a crisis of confidence in any sector of the economy. Usually this insidious tendency is held in check by leadership from those with a deep understanding of complex issues and the ability to explain to the man and woman in the street why more regulation is a dumb idea. This takes courage, tenacity, passion and focus. Also, it requires consummate communication skills. 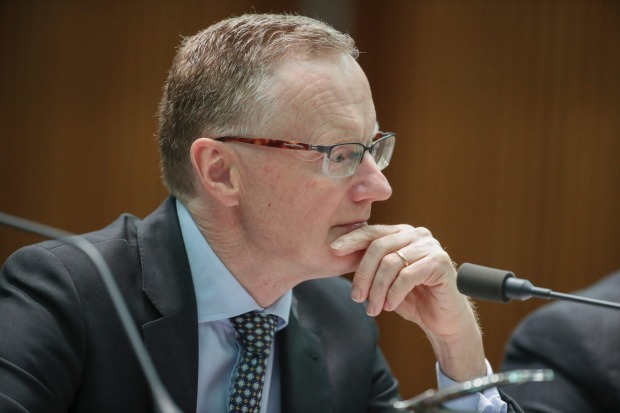 RBA governor Philip Lowe said financial institutions clearly had difficulty dealing with conflicts of interest, and remuneration structures within institutions had driven poor behaviour. The super sector’s overarching problem is that at this point in time there is no one in a leadership position in government or industry sticking their neck out to defend the system against all its critics. One exception is former prime minister Paul Keating. But, unfortunately, in recent years his interventions about super have been few and far between. The Hayne royal commission will probably serve to entrench the well-established myths about super and lead to another round of suffocating regulatory responses. That in turn will lead to even greater community disengagement. Chanticleer’s myth-busting draws on research by leading consultants, fund managers and work done by well-funded government inquiries. The Productivity Commission inquiry into super headed by Karen Chester has found that over the decade to 2016, both APRA-regulated funds and self-managed super funds have delivered net returns of about 5.6 per cent a year. Myth No.1 says our super funds are delivering poor returns relative to benchmarks and relative to pension funds in other countries. In fact, data from research house Morningstar shows that over the past 25 years, Australia’s super system has delivered real net returns of 5.1 per cent. That annual return is after taking account of inflation, taxes and all fees and charges. This is better than the real rates of return achieved in other countries over the same period. Consultants Rice Warner point out that, in many cases, the fees and charges have included free intra-fund advice, cheap life insurance and choice of investment strategies. Default super funds, which are usually the preserve of disengaged employees, generated average net returns of about 7 per cent a year over the 12 years to 2016. The Productivity Commission found that top performers were typically larger not-for-profit funds. Myth No.2 says we all pay too much for our super and we have never gained the economies of scale from the growth in total super assets to $2.3 trillion. 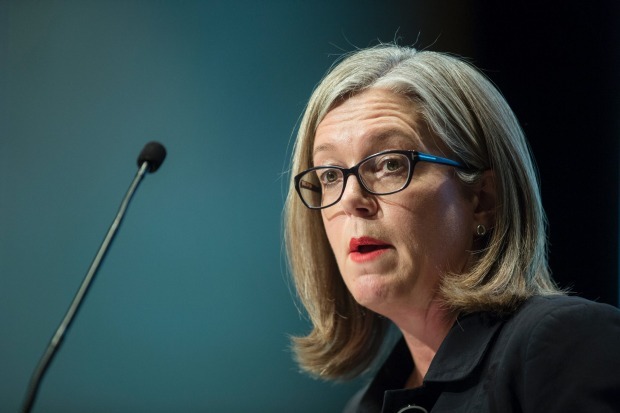 In fact, fees charged by super funds have fallen by 27 per cent over the past 15 years to about $22.4 billion, according to analysis by Rice Warner. That works out at about 1 per cent of assets under management, which is reasonable and a sign of increased efficiency. Fees have fallen thanks to the winding up of smaller corporate funds, an increase in average account balances, the rise in popularity of passively managed assets, tougher negotiations over investment mandates and the rapid growth of funds under management in MySuper products. Rice Warner rightly points out busting the myth about high fees is made more difficult because of the lack of clarity about the fees charged. It says that the Productivity Commission, research house Rainmaker and the Grattan Institute have all overstated super fees by including group insurance premiums. This is clearly misleading, as it is a separate financial product. The federal government has proposed making insurance in super an opt-in product and not something that is automatically provided to super fund members. Myth No.3 says that Australians are paying some of the highest costs in the world for their super. The Productivity Commission supported this myth using data from the Organisation for Economic Cooperation and Development in Paris. But a dispassionate analysis by consulting firm Mercer completely demolished this claim. Mercer found the OECD data was not only inconsistent and incomplete – it was, in some cases, totally misleading. For example, the cost of running Australia’s defined contribution schemes were compared with the employer-sponsored defined-benefit schemes in Canada, Britain and the US. Defined benefit schemes enjoy cost subsidies by employers as part of the labour contract. In addition, defined benefit funds tend to have a single pool of assets rather than Australia’s system of individual accounts and greater choice. Mercer highlights the fact that when a retirement system is in the accumulation phase, its administration costs are higher than when it is in pension phase, which is the situation in most countries overseas. Self-managed super funds, which are unique to Australia, have a significant impact on the structure and costs of the system. SMSFs tend to push up the costs of APRA-regulated funds because they reduce the average size of member accounts and leave small balances in APRA-regulated funds to ensure they keep cheap life insurance cover. Also, APRA-regulated funds are being forced to add additional services to compete effectively with SMSFs. Services such as member-directed share investment and intra-fund advice push up the costs of running APRA-regulated funds. Myth No.4 says the reform leading to the creation of low-cost MySuper default funds has been a flop. MySuper is a long-term reform that needs time to work. The number of funds is declining and this consolidation will continue because of competitive forces which will push down the average fees. The Hayne inquiry will ensure stronger oversight of these funds and the removal of rorts. Myth No.5 says that past performance is the best guide to choosing the most appropriate MySuper funds. The Productivity Commission has proposed a 10 “best in show” list which would see poor-performing funds closed. But if the sole focus is annual performance, or even three-year performance, then investment horizons will shrink. That will work against super fund members having sound, patient, long-term strategies. The last thing super needs is herding and short-termism. It would lead to worse aggregate outcomes. Value managers would be sacked at the very time when growth managers were losing their mojo. It will take outstanding leadership and comprehensive nationwide education programs for Australians to learn about market cycles. These run for about 8 to 10 years and require the sort of patience not found in the typical 40-year-old. As one wizened fund manager told Chanticleer, we need a super system that can deal with these market cycles by allowing funds to be different and sometimes contrarian, but at the same time provide supervision and feedback on shorter time-frames.